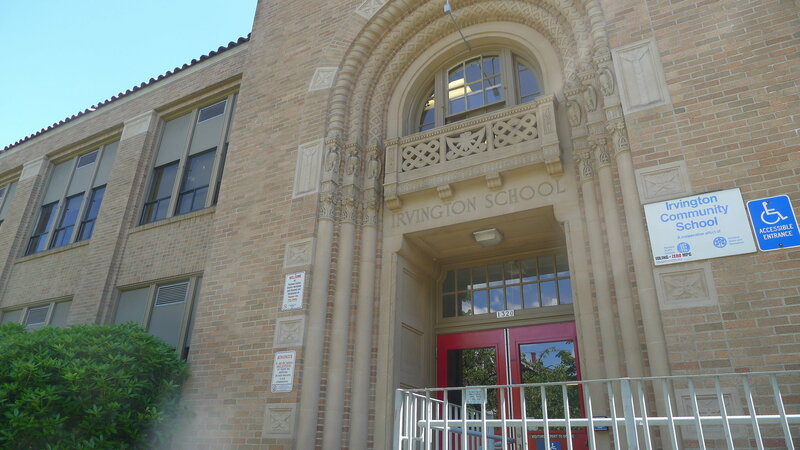 Portland Public Schools are out for the summer, but you wouldn’t know it from the squeals and laughter inside the Irvington School in Northeast Portland. A few dozen students have gathered for a Science and Math enrichment camp. One girl proudly holds up a snake for others to admire. Another girl begs the camp leader to bring her pet rats to school. Sunshine may be beaming outside the window, but for a few more weeks this summer these Irvington students are firmly entrenched in the classroom. And so it goes for the “I am Learning Partnership,” a unique volunteer program organized by a small family-owned business that years ago decided it wanted to make a difference in its community. Tony and Christine Arnerich, when they started their investment consulting firm, Arnerich Massena, in 1991, also were raising a young daughter who attended Irvington, the family’s neighborhood school. After volunteering at the school, the couple decided their first-grade daughter, Kata, didn’t necessarily need extra help but some of her fellow students did. An idea took shape: Why not help the entire school, and why not ask all of the company’s employees to donate their time and talents? The company’s volunteer program has grown so big nearly 19 years later that the consulting firm pays two employees to work fulltime at Irvington. The two Arnerich Massena employees organize company employees, paid for volunteering, for before- and-after-school mentoring. They run six weeks of summer camps and, during the academic year, tutor students who do not meet benchmarks in literacy and other areas. The program started in 1995 with an after-school venture. Early on, when the company sent employee volunteers to Sabin, Beaumont and Irvington schools, it became clear the company needed someone to manage things. The firm tapped Kate DeGraw, a receptionist for the firm with experience in early education. DeGraw has stayed in the job of director of community involvement, though the company has scaled back and focused its energies on one school. The program’s success, according to PPS, comes from the collaborative nature of volunteers and DeGraw, Miles said. Teachers, Irvington Principal Lisa McCall and the Arnerich Massena coordinators meet regularly and tweak how volunteers can most help students. DeGraw said the volunteers, who worked with 281 students this academic year, see their mission as enhancing what the teachers do. The company has 65 employees and though the number who volunteer varies yearly, DeGraw said half of the staff has participated. Arnerich Massena declined to say how much the company has spent on the program. But the company has benefited, too, Christine Arnerich said. It has attracted employees who care about community, and its employees who take part feel satisfied they’ve contributed to a better educated population and made a difference in someone else’s life. DeGraw said she and fellow Arnerich Massena employee, Marisa Izzard, have been one of the few constants in the lives of some children as they’ve progressed through grade school, and that relationship has been as rewarding to her as seeing her student mentees grow. An original goal of the program was to someday create a template that other businesses could replicate. After nearly 19 years, the company is finishing up those documents, and at least two other businesses have expressed interest in learning how it works. For daily NE news and events, follow me on Facebook, Twitter and Google+.